In my coaching, my overall focus is also on goals and results, and my approach involves exploring together what is getting in the way of achieving your goals. 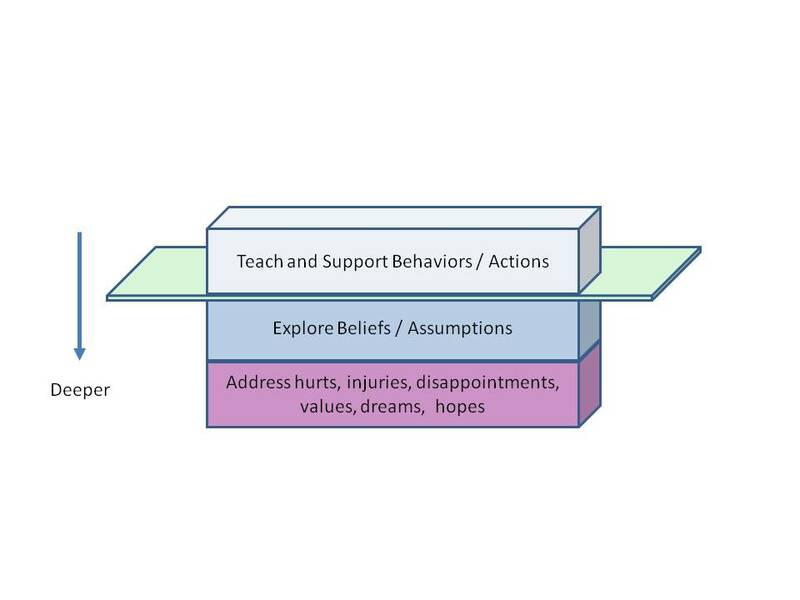 Together, we go as deep as necessary to have traction that leads to lasting results, but no deeper (please see the diagram above). When there are no obstacles, we can usually achieve goals easily, by ourselves. When we have difficulty, something is getting in the way. Unlike many therapies, there is usually not a focus on healing, but on moving forward on the most effective path toward the results you are hoping to achieve.